Polar Mistral Wall Fans have the latest International design range with cutting-edge technology. The Mistral range is truly classic with dynamically balanced blades in engineering thermoplastic, whisper silent operation and a powerful motor that gives excellent air delivery and thrust. The Wall Fans offered by us, have an elegant design with 120 spoke grill guard and superior quality transparent PP blades. These wall fans are procured from the certified vendors of the industry, who design and manufacture these in compliance with the defined quality standards. Available in different designs, colours and specifications, these cater to the varied requirements of our valued customers spread across the nation. 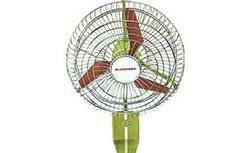 We are committed to offer our clients, a wide collection of Almonard Wall Fan. Offered range is sourced from a well-known brand name. 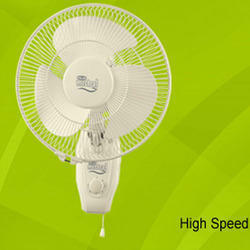 These fans deliver maximum air without any noise in the surrounding. 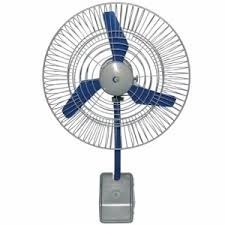 Highly appreciated for their high durability, long life, low power consumption and negligible noise; these fans are widely used in various homes, offices and colleges. 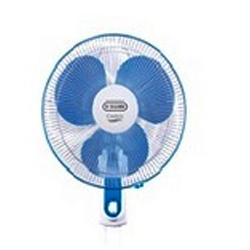 With thorough industry knowledge, we are engaged in offering CG Wall Fan. These offered products are procured from most trusted and reputed vendors of the market. Post-procurement, our experts make sure that available products are defect free and comply with the international quality standards. Inspired from the smooth flowing floral designs, these products enhance the beauty and elegance of a room. Looking for Wall Fans ?